In 1915 opal gemstones were discovered in Coober Pedy, a small town in a remote area of the South Australian desert, one of the driest places on earth. Since then, Coober Pedy has opened 70 opal fields and is the largest opal mining area in the world. With average summer temperatures of 37°C (100°F), and daily highs of 47°C (117°F), it is not surprising that its residents are experts at finding a piece of shade. The temperature is so harsh that the miners began digging their homes into the hillsides. 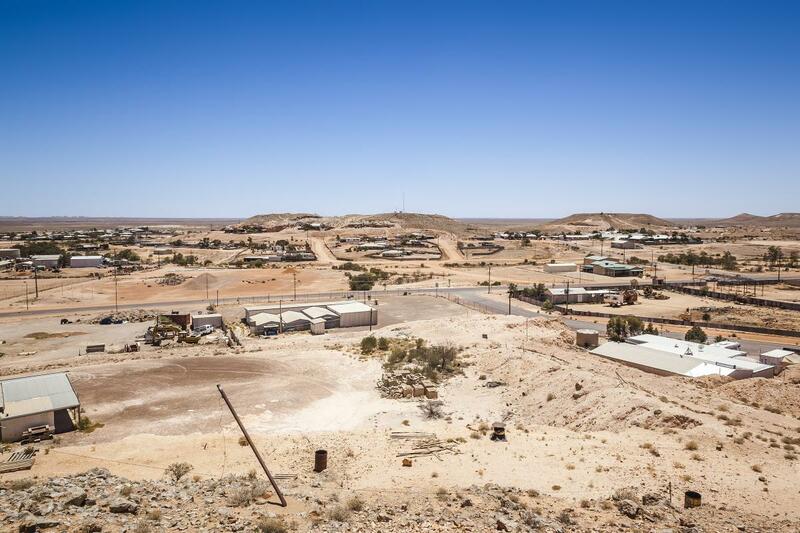 The sleepy, underground settlement of Coober Pedy became popular in the 1980s when local residents recognised the tourist appeal of the underground town and built the first underground hotel, turning the extreme climatic conditions into an advantage. Today the city lives as much from tourism as from opal mining. 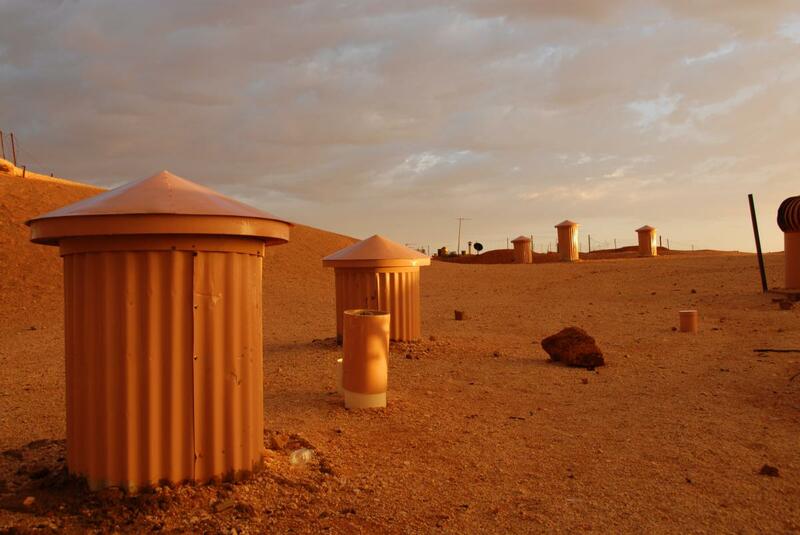 What is visible of Coober Pedy is the vast hinterland interrupted only by chimneys, shafts and scattered constructions. Most of the 1,695 permanent residents have chosen to live underground where the temperature remains constant even during the cold desert winters of outback Australia. Opal mining used to be a laborious manual operation, and the early Coober Pedy homes were no bigger than they absolutely needed to be. 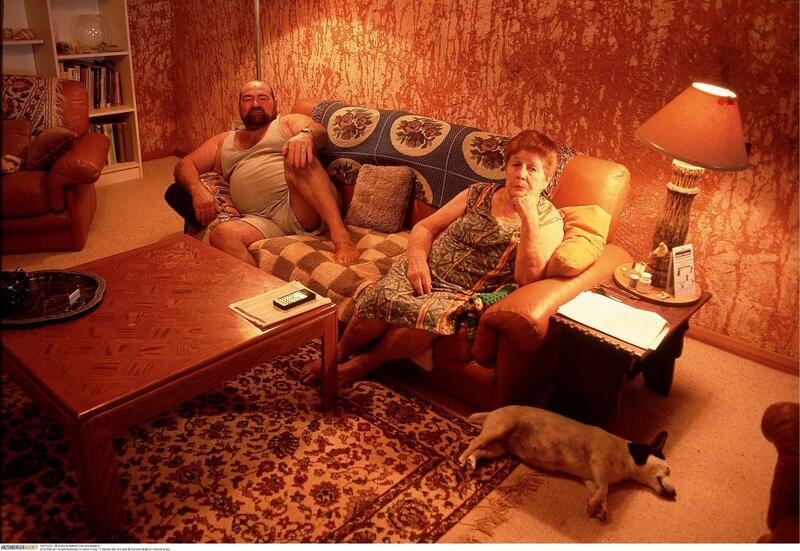 Today residents dig out spacious residences like this comfortable property belonging to T. Aberta and his wife. When more room is needed it can simply be dug out. With luck, the dig might uncover an opal. 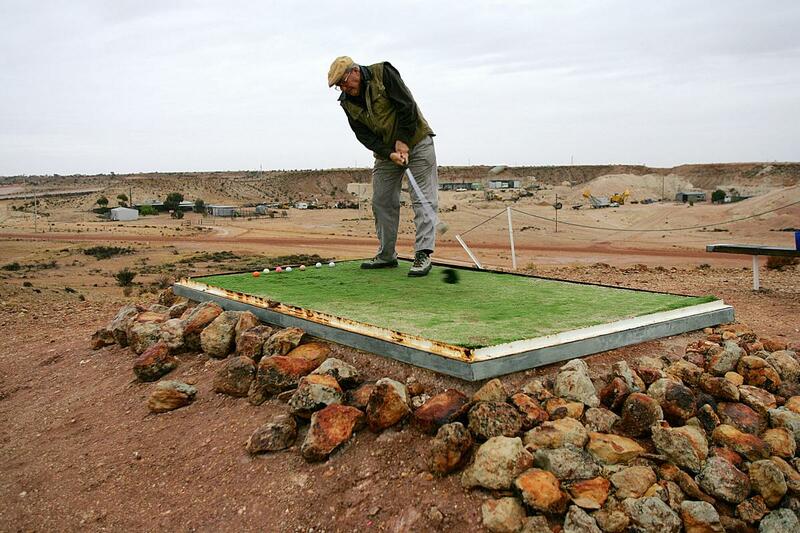 One of Coober Pedy’s rare outdoor sports is golf, played in the evenings when the temperature becomes bearable. Here Mijo Markovic tees off at the local golf course, one of the world’s most bizarre. In conditions too arid to support even a single blade of grass, players must carry their own patches of artificial turf to minimise damage to their clubs from the parched, stony ground. Since the climate precludes playing in the sunlight, golfers follow their glow-in-the-dark balls from hole to hole through the desert night. This article comes from Works That Work magazine, No.4.